Born on a battlefield, Conan the Barbarian travels through the world as an adventurer, warrior, and hero - as well as a thief, mercenary, and pirate! Several films, books, and comics feature this formidable character created by author Robert E. Howard. Here at Buying a Sword, you can find a number of licensed Conan the Barbarian weapons that are ideal for displaying in your home. 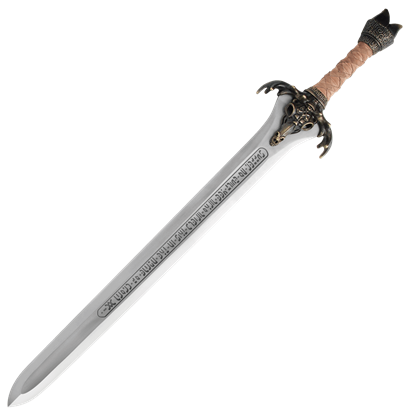 Our official Conan swords include the Atlantean sword, the Fathers sword, and Valerias sword replicas. We also carry several Conan axes, such as the eye-catching Triple Axe of Rexor and Conans pickaxe, and Conans dagger in bronze, silver, and gold versions. Many of these pieces come with certificates of authenticity. Show off your love of this sword and sorcery world by collecting these excellent Conan the Barbarian replicas! The vastly skilled sword masters from Marto have made this faithful and exclusive reproduction of the fantastic Special Edition of the Fathers Sword, the very sword with which Conan the Barbarian learned basic combat skills. Thanks to the highly skilled sword-makers in Toledo, Spain, the world has a whole new way to celebrate Conan the Barbarian, with the Sword of Conan the Barbarian, a fantastic replica made without losing any of the details. 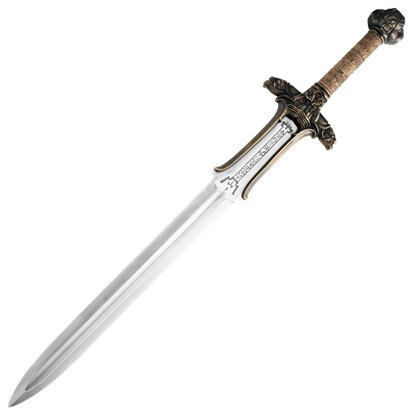 The Atlantean Sword is hand-forged from 1085 high carbon steel and tempered to 52 HRC for strength. This swords has been expertly reproduced and is an exact replica of the sword used on screen from the movie Conan The Barbarian. 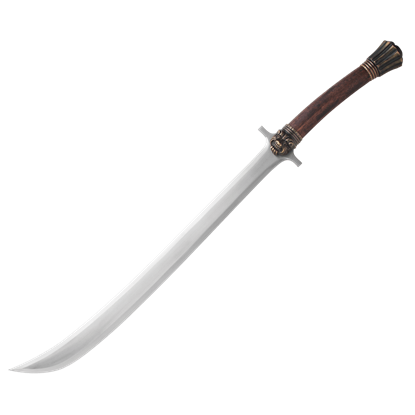 The Fathers Sword is hand forged from 1085 high carbon steel and tempered to 52 HRC for strength. 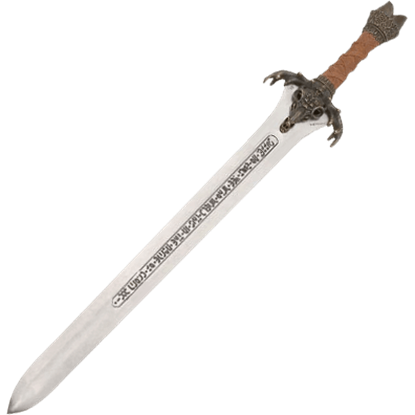 This sword has been reproduced by Windlass Steelcrafts as a replica of the sword used on screen from the movie Conan The Barbarian. The Valerias Sword is hand forged from 1085 high carbon steel and tempered to 52 HRC for strength. 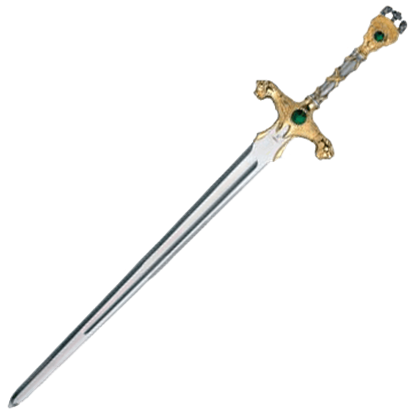 This sword has been reproduced by Windlass Steelcrafts as a replica of the sword used on screen from the movie Conan The Barbarian.